This introductory chapter attempts to show the movement of the chapters. The text makes a contextualization of the researches that were produced the chapters. The introduction highlights the following questions: Is it possible that a queer political gesture is open to other knowledge or are we trapped inside with a line of thinking that nothing new can be proposed or envisioned? 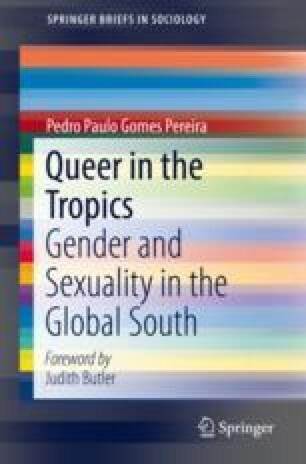 How do we think queer in the tropics? The text suggests that perhaps this is where its beauty and potential reside: in the movement of enchanting us with the multiplicity of our interlocutors and their unprecedented forms of agency, with the creativity of their poetics. The idea is to experiment with other concepts and to experience ourselves within other concepts.